I'm starting to work up the courage to actually throw some sort of holiday fête this year and a couple of ideas are flowing right now. 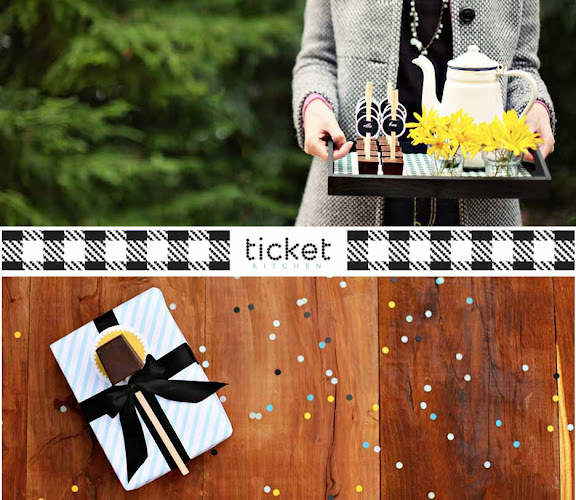 One is to host a hot chocolate party with these hot chocolate sticks from Ticket Kitchen. They literally melt into a cup of something decadent and delicious...oh man are they good! Also, these hot chocolate sticks would look so pretty lined up on a table and I know it would be fun to present an unexpected treat to guests. In fact, the more I think about this idea, the more I like it! That looks so delicious! I can't imagine how fun your party would be. I saw these last year and I swooned over the cleverness. Such a fun party idea and/or gift! Is the link to chocolate sticks by mistake leading to Ticket kitchen's website, too?